April 1, 2019 , 10:28 am in Attraction Breaks . This post may contain affiliate links. This the most comprehensive guide to Harry Potter World breaks (and ticket only options) on the web. I’ll walk you through Sirius-ly good deals where you can combine a magical Harry Potter Studio Tour with a stay in a nearby hotel. This 5* tour is always a sell out, so make sure to book well in advance. I’ll show you how to choose the best deal for you. I also have top tips to share to help you make the most of your time. Let’s get started. What other Harry Potter Studio Tour + Hotel options do I have? What are the best hotels near Warner Bros. Studio Tour? What are the hotels nearest to the Harry Potter studio? I don’t want to book a hotel & ticket separately – are there packages available? What is Harry Potter Studios Tour Post Code? How Long Is The Harry Potter Tour? Is parking free at Harry Potter studio tour? How do I get to Harry Potter World by train? Can you take your own food to Harry Potter world? This is where you book the Harry Potter World tickets and hotel stay separately. This is usually your cheapest option. (If you can’t find your desired tour dates directly it’s worth checking with Superbreak as they get their own ticket allocation). If you are travelling with children under 4 years of age they are eligible for free entry to the Warner Bros. Harry Potter Studio Tour. Just make sure to add them to your booking of the tickets and be sure to contact the hotel to see if they can provide you with a cot prior to purchase. The Travelodge hotel mentioned is closely located to Watford Junction Station. There is a shuttle bus from Watford Junction station to The Warner Bros. Harry Potter Studio Tour which costs £2 return per person. Those travelling by car can drive directly the venue. This price is correct at the time of writing but is subject to change. These are the most popular hotels nearby (not the cheapest!). Browse our handy map to see the nearest hotels. If you zoom out more will appear. Check out Harry Potter hotel & ticket packages at Superbreak. You’ll have more accommodation choices but bear in mind it’s not as likely to come as cheap as the deal above. Superbreak are very good – we recommend them. Why? Your best/cheapest depends if you have your own transport. If you have your own transport, then book direct at The Warner Bros. Studio Tour London. If you don’t have your own transport, I’ve got you covered! AttractionTix offer great Harry Potter tour prices that includes return transportation from Central London. Golden Tours offers fantastic tickets with lots of transport options from Central London including Victoria and Baker Street. 365 Tickets offers good value tickets with lots of transport options from Central London and Birmingham. They also bundle other attractions such as Tower Bridge and The Shard. National Holidays provide ticket and coach travel packages with pick up points across the UK. If we find any Harry Potter Tour deals that come up on Groupon we’ll add them here. Watch prop-makers creating wands and amazing costumes and creatures. If you are using sat nav, use ‘Warner Bros. 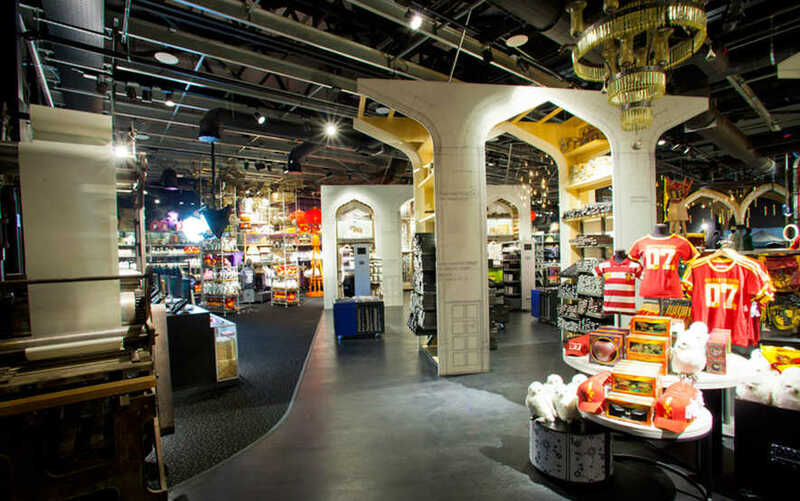 Studio Tour London’ or ‘Studio Tour Drive’ when setting your destination. As the postcode – WD25 7LR may not work on some systems. 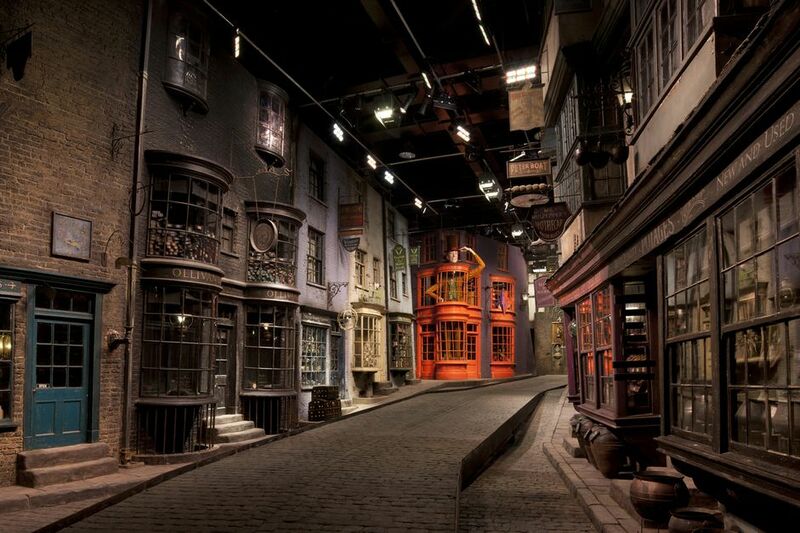 The average visit to the Studio Tour lasts approximately three and a half hours, although there is no limit imposed on your time at the attraction. You can also spend time relaxing in the studio cafe or browsing gifts and souvenirs in the studio shop. Yes, free parking is provided in a car park directly outside the Studio Tour. The nature of the attraction means that you cannot return to the car park until the end of their visit. The Studio Tour’s nearest railway station is Watford Junction and direct services arrive there from both London Euston (20 minute journey) and Birmingham New Street (1 hour journey). Yes. You are not allowed to consume food or drink once you are on the tour until the ‘Backlot’ area where there is a large cafe. You can take food inside but can’t consume while on the actual tour. 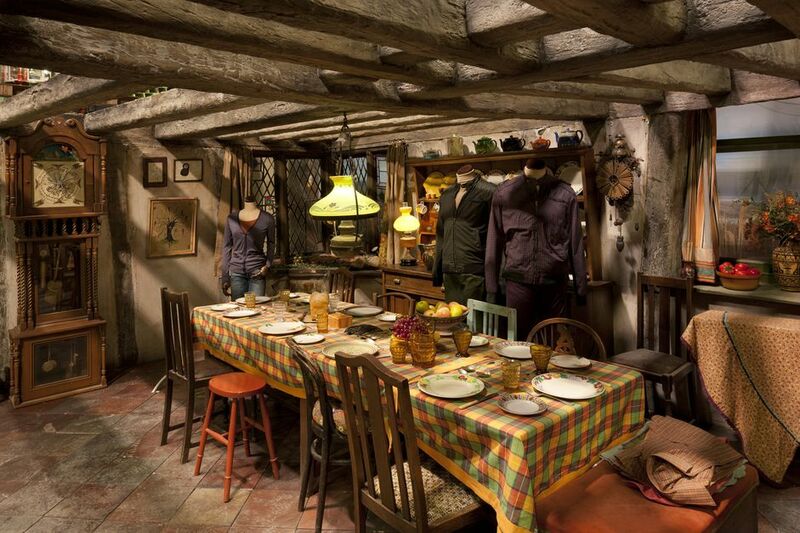 The Warner Bros. Harry Potter Studio Tour is a 5* attraction that all Potter fans must visit at least once. It has a 5/5 Trip Advisor rating based on 38,000+ reviews with a Certificate of Excellence Award. We have based the package on school holiday dates which is perfect if you want to explore other parts of London during your stay. Our top choice for UK train tickets is Virgin Trains – they search the whole rail network, not just Virgin routes. What’s more, they don’t add booking fees or charge you for using your credit card. Also worth a look is Trainline. They buy up seat allocations in bulk, meaning they can sometimes pass on better discounts than rivals. If you’re travelling by coach, these days National Express really makes an effort to be family friendly. With booster seats, wifi, air con and power sockets for tablets – as well as bargain prices when compared to train – they’re worth a look. 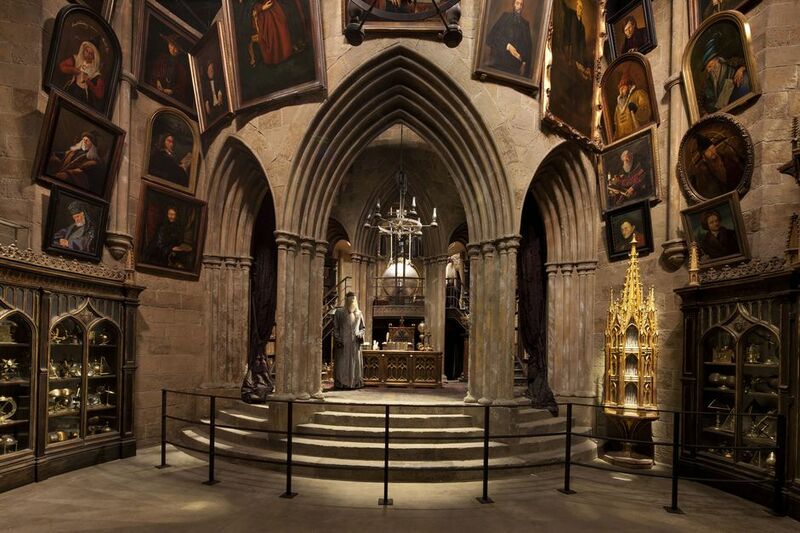 Unsurprisingly this tourist attraction is winner of a coveted Certificate of Excellence on TripAdvisor (5/5 Trip Advisor rating) and famous around the world for providing unparalleled ‘wow’ moments to Potterheads from across the globe! 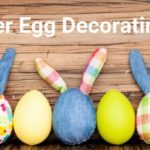 Check some of these reviews out – useful tips as well. Coming from Wales we chose Monday 25/02/2019 the first day of the Welsh February Half Term. The English half term was the week before. This meant that the studios were not to busy. If you are travelling from afar, I would recommend staying overnight at the Holiday Inn Express Watford Junction, 2 minutes walk from the train station. The following morning we caught the 9:00 am bus outside Watford Junction train station directly to Warner Brothers studios for only £2.50 per person return, great value for a 15 minute journey. Tip, upon arrival, we left our belongings at the cloakroom and were given a receipt for collection. I chose The Harry Potter Studio tour for a birthday present for my daughter. My daughter was given a birthday badge and we had an amazing day, took lots of photographs, ate in the restaurant drank butter beer. Staff were very engaging and they noted the birthday badge and made her day special simply by asking what she had seen and what she was looking forward to seeing. An added bonus was that there were staff there who worked on Harry Potter and Fantastic Beasts sets, who brought to life the various props and challenges to pull it all together. There are three shops the largest is the last, however I would recommend visiting all as they all have something different to offer, so don’t miss out that vital keepsake as a great memory of your day. I purchased the digital guide which was gave audio information on the various sets to be seen. To really appreciate the tour give yourself at least 4 hours add another hour if you are stopping for lunch. There is plenty to see and you can take the tour at your own speed. It really is a magical experience and something my daughter and I will remember with great fondness. So if you have a special someone, book early and share this magical experience with them..
We had tried to purchase tickets a month in advance for 4 with no luck. Everything was sold out for the day we wanted to go. My wife went through Golden Tours and got tickets-thank God!! One suggestion (TIP) she did was check the package that included the 4 hour hop on/hop off bus. There were enough tickets on this package and she was able to snag and purchase. The other packages that did not have the 4 hour hop on/hop off were all sold out. This package was slightly higher, but not much, and we wanted to be guaranteed to have tickets for this trip. Others have stated to check the Warner Brothers Website a week before your desired enter date- for released tickets, but we did not want to take a chance of missing this opportunity, so we purchased through Golden Tours. Traveling all the way to the UK, this tour was a must, and did not want to miss out- we were planning and looking forward to this attraction, and ready to enjoy! In short, the entire experience was simply outstanding and worth every pound. This was our first visit so here are some first-timer tips. 1) Go online and try to purchase the first studio entry time. The tour begins in Hogwarts’ Great Hall where you’re given a brief period of time to browse before the next timed group enters. Once beyond the Great Hall, you are free to take all the time you want to explore the rest of the sets/stages. 2) We took a train from Euston Station in London to Watford Junction. The trip took 15 minutes. At Watford Junction, we took the Warner Bros. Harry Potter coach to the tour. That drive was about 10 minutes in length. A roundtrip coach ticket was 2.50 pounds cash per person paid to the coach driver. Well worth it. 3) Buy the digital audio guide, which includes a set of headphones and audio device you wear around your neck. The tour is earmarked with 26 different points of bonus material/interviews/photos you hear as you walk the grounds. 4) Try not to rush; enjoy the moment. Even though we went on what was described by employees as a busy day, we took our time, read and looked at absolutely everything, and spent a total of 7 hours at the studio. A truly magnificent experience for Harry Potter and filmmaking fans. Here’s a good video summarising what the tour is all about. See the Forbidden Forest in 360 Degrees! Want to make the day extra special? Get in the mood with these Harry Potter classics. Handy Sauce Holder For Your Car From Just £5.99 – different designs to choose from!